And Jobs’s name is still getting added to new patents, some of which offer a window on his personal interests, like a 260-foot super yacht, Venus, that he commissioned and helped design. “If Samsung truly believed that Google’s takeover of Motorola Mobility was going to be helpful to the entire Android eco-system at large, it would have waited until that deal was closed before concluding the license agreement with Microsoft,” said a Samsung official. If Samsung truly believed that Google’s acquisition of Motorola Mobility was going to be helpful to the Android ecosystem at large, it would have waited until that deal is closed before concluding the license agreement with Microsoft. 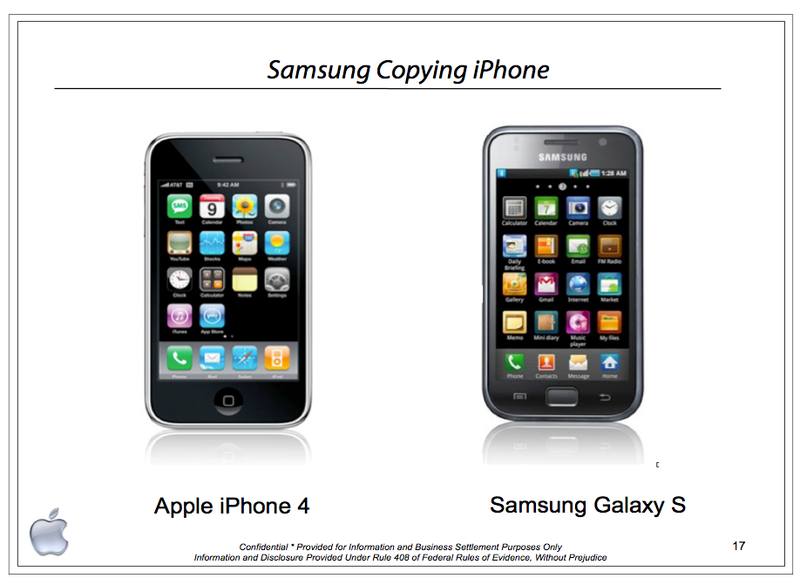 But Samsung probably knows it can’t rely on Google. It decided to address Android’s intellectual property issues on its own. Considering that Mueller emailed Yoo-chul with his post, I agree that the attribution of these remarks to “a Samsung official” was probably an honest mistake, not plagiarism. Who would plagiarize from someone who emailed them with a “Hey, you might be interested in this piece I wrote” pointer. But given how much attention the remarks have gotten, the sourcing deserves to be corrected. For what it’s worth, I think Mueller’s analysis is spot-on, and I find it interesting that Samsung hasn’t disavowed the quote. My guess is that this is exactly what Samsung officials really do think, and so they’re willing to let it stand.